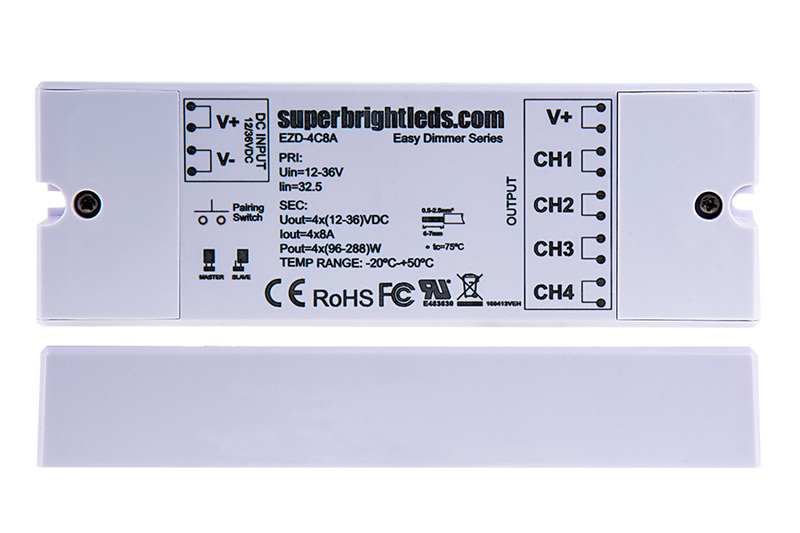 Wireless LED 4 Channel EZ Dimmer Controller w/ Channel Pairing: 360° View. 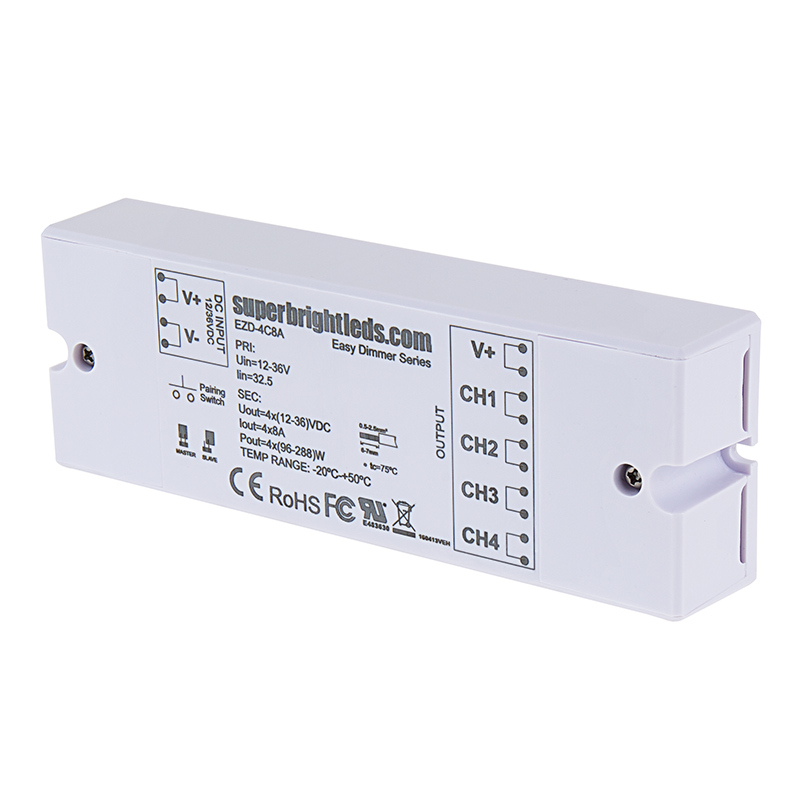 Designed for use within the EZ Dimmer series, this wireless 4 channel LED dimmer controller operates within a 12-36 VDC while receiving RF signals from a compatible wireless LED dimmer wall switch. 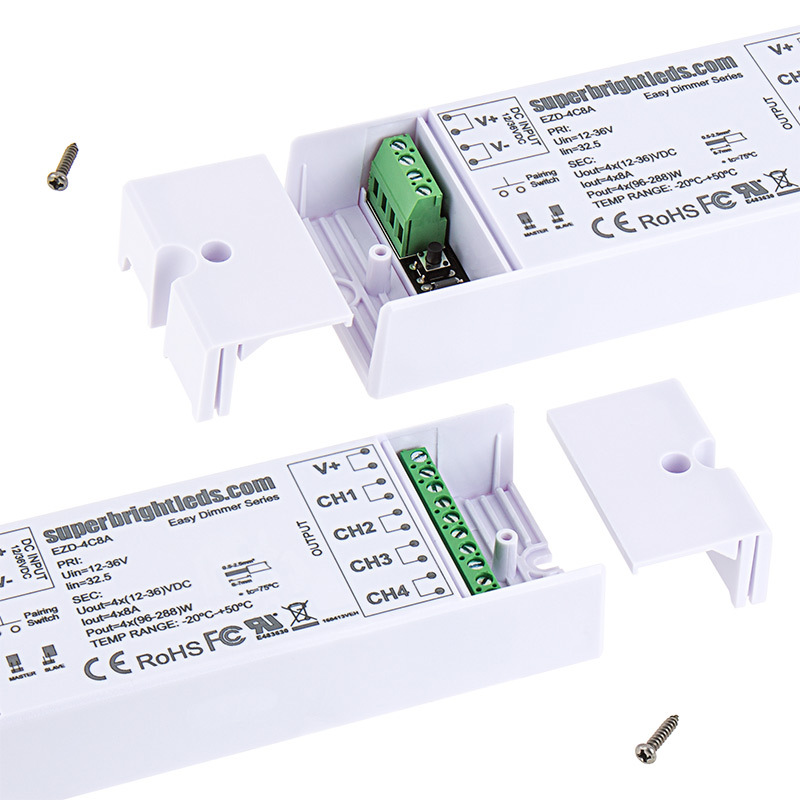 The LED receiver has a maximum load capacity of 32 amps and has spring terminal connectors for in and out power connections. Plugged it in the first time, and everything works. 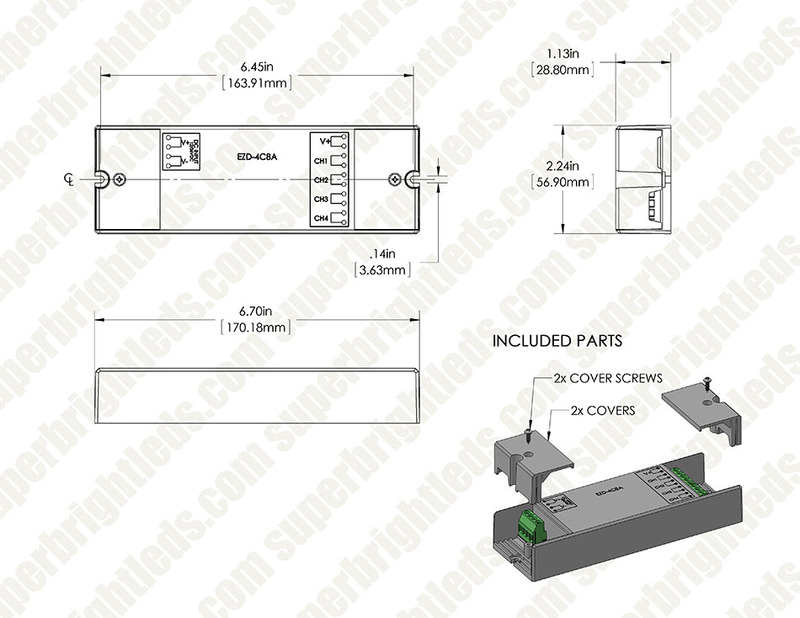 good wiring diagram instructions included for 12 and 24v systems. This controller is not tiny, like some of the other remote control system. The box is about 2.5" tall by 7" long. the description says 4 channel, but only controls one zone. This controller is a multi-functional, single zone device. It pairs with different transmitters and the transmitter chosen will determine the operation. (See the “Instructional Sheets of Compatible Switches” on this web page for information on how each switch utilizes the controller.) For multi zone dimming, purchase one controller per zone and use either the EZD-RGBW8 RGB 8 Zone Remote or the EZD-1C5 5 Zone Single Color Remote. 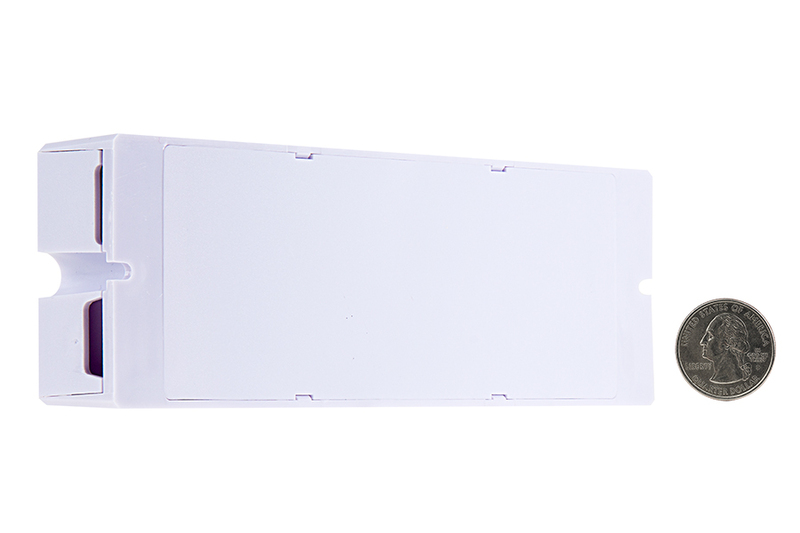 You may also use multiple Single Channel EZD-1C8A with the 5 Zone Remote to achieve single color multi-zone dimming.